The only private country club in Naples where members can paddle to the Gulf of Mexico! Colliers Reserve Naples Florida was the world’s first Audubon International Signature Sanctuary golf course. A private residential golf community with a member-owned equity club, nestled along the Cocohatchee River two miles from the Gulf. This is one of Naples most exclusive private residential country club communities. 450 acres comprise Collier’s Reserve. The lushly landscaped gated community provides gorgeous golf course vistas set amongst natural preserves. There are 228 custom single-family homes on lots that range from 1/3 to over 3/4 of an acre. The estate sized properties range from 3400 to over 6000 sq.ft. and range in price from $1M – $4M. At Colliers Reserve, an Audubon Signature Sanctuary Course, golf is a matter of art blending with nature. The wetland views, freshwater lakes, surrounding preserves and glimpses of wildlife make the Arthur Hills design a must-play. 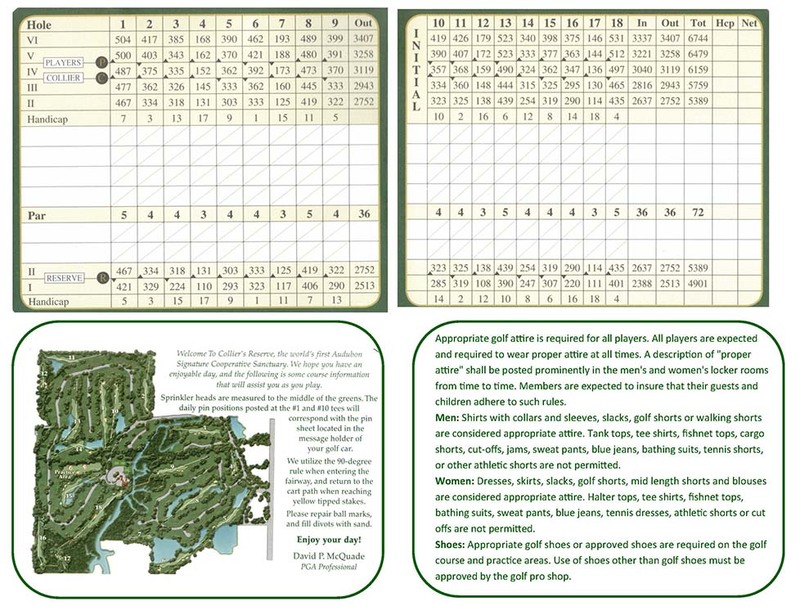 The course features six sets of tees making the course friendly for everyone. Playing at 6744 yards from the tips, it features palmetto groves, Paspalum tees, TifEagle greens, Bermudagrass fairways, and roughs. When asked for a signature hole, members respond with #6, #12, #14 and #18. The new Sports Center feature 5 Har-Tru tennis courts and 2 pickleball courts. Life Fitness equipment & 6 spin bikes. Yoga, pilates, mat, tai chi, and spinning classes. Chef and the culinary team will provide a variety of healthy farm-to-table menu options. The Plantation-style clubhouse offers formal dining in the Cocohatchee Room or casual al fresco dining and cocktails on one of the several terraces. The Osprey Lounge for lively socializing after golf. The Boathouse offers riverside dining for lunch and Sunday brunch twice per month. For additional information about Colliers Reserve Naples FL, please complete the form below! I or one of my team members will respond to you within one business day.